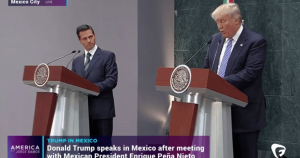 Mexican President Enrique Pena Nieto and Donald Trump … a language barrier? I wrote a column last week in which I said that the media’s decision to give Donald Trump’s core supporters the dignity of a legitimate-sounding political movement name was, essentially, a bunch of hooey. A lazy, cowardly way of saying that the folks most passionate about Trump’s candidacy are bigots. 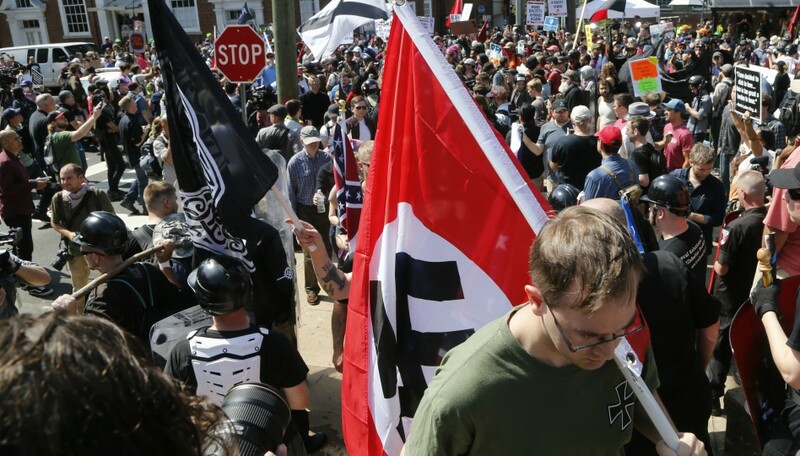 When you say Alt-Right, read it to mean the KKK, neo-Nazis, white supremacists, previously closeted fascists, anti-gays, and a bunch of woman-haters. The kind of people who, in previous eras stole land from Native Americans and slaughtered thousands of them. Who started a war to preserve slavery. Who had whites-only schools and bathrooms. Who herded fellow Americans of foreign descent into internment camps. I thought it was a fair, truthful representation of what Americans have been subjected to for nearly a year now. Would that the major media had done the same for the past year. One reader suggested there must have been spittle on my laptop when I got through writing. Quite possible. I’ve been known to get a little messy when I’m angry. To me, one of the most disappointing aspects of this presidential campaign is that not nearly enough people are angry and downright embarrassed that one of our two major political parties has handed its presidential nomination to a congenital liar. A bigot. A misogynist. A narcissist. … There I go again. Another reader noted a lot of “name-calling” in the piece. I don’t know. It seems to me when I use words to describe the reality of what is going on, it’s not name-calling, it’s doing what Trump says he does. You know, telling it like it is; calling a spade a spade, a bigot a bigot. I think Trump’s own words and actions legitimize every label I affixed to him. You can deny this if you want, but that merely puts you in line with the Republican National Committee, which is in bed with Trump, against its will but for its own selfish purposes. There are names for that, too. 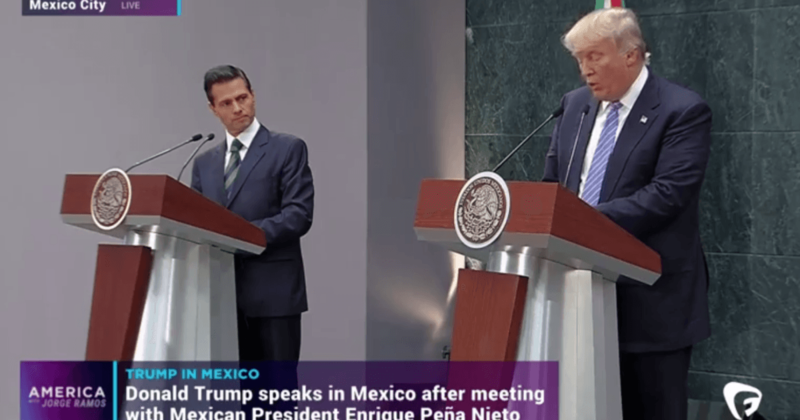 Last week, Trump took his ego to Mexico to meet with that country’s president, Enrique Peña Nieto. After the meeting, Trump said they discussed the infamous wall he has repeatedly vowed to build on the U.S. border with Mexico, but he said the two men did not discuss his demand that Mexico pay for it. Pena Nieto disagreed. He said he “made it clear” at the beginning of the conversation that Mexico would not pay for any wall. Back in Washington, D.C., Priebus and his RNC crew were once again left trying to figure out how to put a positive spin on Trump’s latest hateful broadside. Their decision was to say nothing because, really, what was there to say. The RNC has made its bed. Now it has to lie in it and about it. Week after week, it has been waiting for Trump to become more … presidential? No, that hope disappeared long ago. Perhaps simply more sane, more rational, more compassionate. Compassion would help. If Trump had any. Cliche after cliche after cliche comes to mind. What you see is what you get. He is what he is. You can’t teach an old dog new tricks. Fool me once, shame on you. Fool me twice, shame on me. Anything beyond that is merely ignoring the loud elephant in the room. 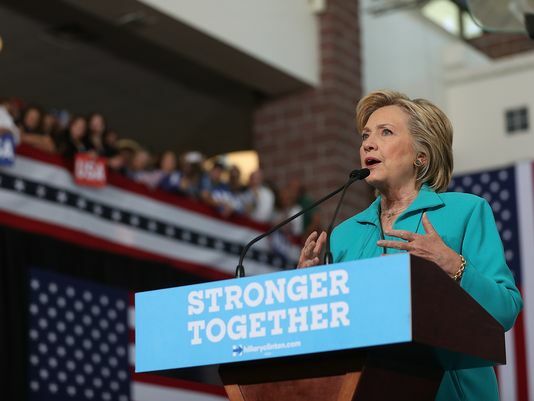 When this campaign is over and Hillary Clinton has become the first woman president in U.S. history — by default, if you wish — Priebus and his fellow GOP travelers will have a major decision to make. Many Republicans who finally summed up the courage to say they cannot support a candidate with no redeeming social values to be the leader of this country are already trying to figure out where their party goes from here. Or where they go from here, if not with the GOP. 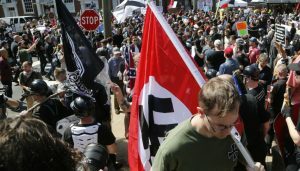 For votes and power, they surrendered their party to the likes of the Koch brothers, Fox News and the fearful demands of the Tea Party fringe. Rich bigots lying to not-so-rich bigots. Trump told them what they wanted to hear. Then he changed his mind. Then he said he never said that. Then he said, the greatest insult of all — that he was going to make America great again. Listen, great isn’t all it’s trumped-up to be. When this election is over, I would rather be proud of my country again.